Best Western Refugio Inn est idéalement situé dans le centre de Refugio. Venez découvrir et profiter de notre hôtel à côté des principaux sites touristiques. Réservation au meilleur prix et offres exclusives toute l'année. Notre centre de fitness vous permet de garder le même rythme qu'à la maison, même quand vous n'y êtes pas. 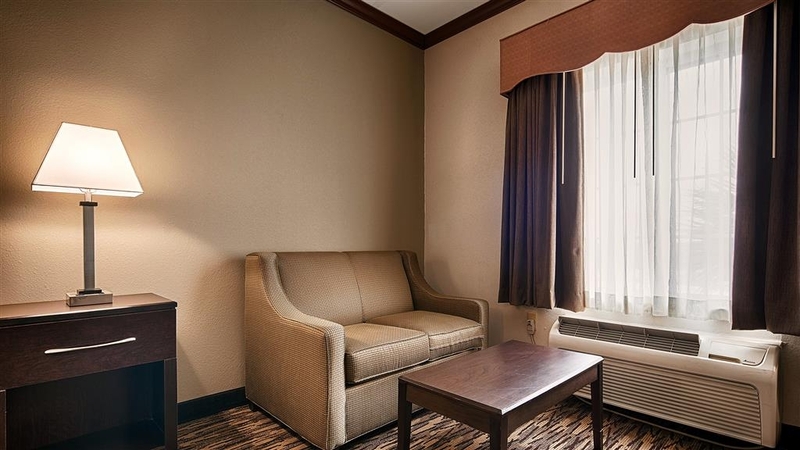 Bienvenue au Best Western Refugio Inn !Vous apprécierez l'accès intérieur de notre hôtel Best Western Refugio, où vous bénéficierez d'une hospitalité typiquement méridionale et vous sentirez à l'aise dès votre arrivée. Nous sommes proches des restaurants, donc il vous sera facile de goûter aux célèbres grillades texanes. L'école secondaire de Refugio se trouve à une courte distance en voiture, et nous accueillons souvent des équipes sportives en visite et des personnes venues assister à des événements spéciaux, comme une remise des diplômes. Toutefois, si vous êtes ici pour des rendez-vous médicaux à l'hôpital Refugio County Memorial, nous sommes également idéalement situés à proximité pour vous offrir un accès rapide. Les nombreuses chaînes câblées avec HBO® et le grand parking pour camions font partie des équipements offerts par notre hôtel de Refugio, au Texas. Personnel convivial, literie de luxe et chambres spacieuses refroidies en permanence à la température souhaitée vous attendent. Si vous êtes ici pour les rodéos, la pêche ou le golf, vous aurez tout à proximité. Nous accueillons les amoureux de la nature toute l'année, et sommes heureux de fournir des conseils sur les meilleurs endroits pour travailler votre swing ou attraper une belle prise. L'observation des oiseaux est une autre activité populaire qui attire les clients au Best Western Refugio Hotel. Avec l'accès facile à la Highway 77, vous pouvez accéder rapidement aux meilleurs sites d'observation des oiseaux, ou reprendre la route si ne faites que traverser la ville. Les voyages peuvent être stressants, et nous faisons tout notre possible pour que vous vous sentiez reposé et détendu chez nous. Parfois, les affaires vous appellent, et nous sommes heureux d'accueillir les clients en voyage d'affaires. Si vous êtes envoyé par le Ministère des Transports, l'école secondaire ou le centre médical, vous serez bien entouré à notre hôtel de Refugio. Nous sommes connus pour nos chambres propres et confortables et pour offrir le meilleur service de la ville. Comptez sur nous pour nous garantir un voyage sans stress. Réservez une grande chambre au Best Western Refugio Inn maintenant pour un tarif imbattable ! 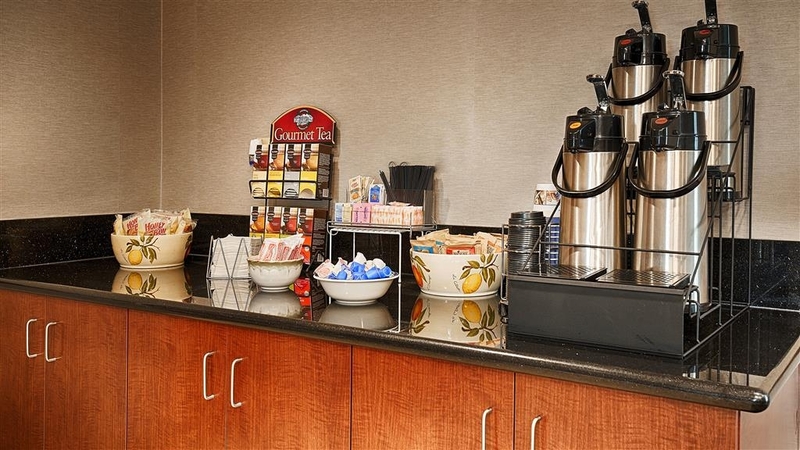 Our business travels extensive and this hotel exceeded our expectations on every level. Friendly, fast service with a clean breakfast area. Comfort is a plus as well. Will be staying here for a few months and look forward to keep coming back. Awful experience at this Best Western! DO NOT STAY HERE! Worst experience I ever had in any hotel! Front desk man had terrible attitude. We were moving from another state and we had bunch of stuff, just to find out there is no elevator. Beds were okay, but not that comfortable. Breakfast was AWFUL, everything was cold, no orange/apple juice, no food was left at all, when asked the front desk man for at least “hot” coffee, he seemed angry and frustrated!! Not worth for above $100 per night. We will never stay here again! STAY AWAY FROM THIS PLACE! On behalf of our entire team, I would like to apologize for not exceeding your expectations. Your satisfaction is important to us and we will be using the feedback you gave us to implement improvements to ensure we offer a better experience for guests in the future. 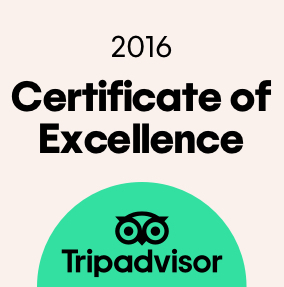 I hope that you will consider staying with us again so that we can have another chance to provide you with a superior experience. If I can provide any assistance, please don't hesitate to contact me directly at 361-526-4600. If I could give this place zero stars I would. The manager which I believe is the owner is a very rude person. I will never stay here. I can't believe Best Western continues to let this manager/owner operate their franchise. Thank you for completing the survey regarding your recent stay at our property. On behalf of our entire team, I would like to apologize for not exceeding your expectations. Your satisfaction is important to us and we will be using the feedback you gave us to implement improvements to ensure we offer a better experience for guests in the future. I hope that you will consider staying with us again so that we can have another chance to provide you with a superior experience. If I can provide any assistance, please don't hesitate to contact me directly at 361-526-4600. Always a pleasure staying here, like staying with old friends.. Clean rooms, lobby and always helpful, we stay here every year we come back. We will come back here next year on business like the last three years. I wish that I could leave a review of a zero. My sty was the worst thing that could ever happen. First of all I used points it was supposed to be 10,000 because of the promo. So I was going to stay 2 nights. Then I needed a second room. I told the guy he said yes I have one. I went to go get my purse while my friend was at the desk. And by the time I got back he told me that the room he thought he had wasn't there. I told hime that I was going to be sleeping on the floor, and I was not sstaying the second night. He told me that he would change it. I went to the desk in the morning to tell them I was out and that the took 20,000 pts. The manager told me that they would not return the points because my reservation said I was there for 2 nights. I told him again that I was not staying 2 nights and sleeping on the floor. He said I don't have housekeeping to clean that room so you are staying 2 nights. Again I repeated that I am not staying here a second night. I left. Returned a couple hours later because i forgot something. The manager said it is now after checkout so he cannot check me out because i didnt bring him keys when we spoke earlier. I told him he hasn't heard the last of this and walked out the door. I called my Best Western rewards when I retuned from vacation. they informed me that the hotel took 20,000pts and charged my card for the stay. I am livid DO NOT STAY HERE. Go just down the road to Portland. They have a very nice Best Western there. Dear Guest, Thank you for completing the survey regarding your recent stay at our property. On behalf of our entire team, I would like to apologize for not exceeding your expectations. Your satisfaction is important to us and we will be using the feedback you gave us to implement improvements to ensure we offer a better experience for guests in the future. I hope that you will consider staying with us again so that we can have another chance to provide you with a superior experience. If I can provide any assistance, please don't hesitate to contact me directly at 361-526-4600. "Was good for one night." This place was ok but if I had to stay here more than one night then I would not recommend. The first thing I saw when I had to walk up to the second floor was small bits of paper trash on the floor, and the trashcan overflowing. The room was nice inside but as far as sleep quality the walls must be paper thin. I could hear road noise all night while trying to sleep and the HVAC system cycled on every 5 minutes. I will say that the location was key to my trip which worked well for me. Excellent customer service by everyone at this hotel as always. Staff is always so welcoming and helpful. Remembers everyone by name and does whatever they can to help you during your stay. Highly recommended. The owners of the hotel are excellent people, thanks to them we always have a room to stay in a very small town with not that many options of hotels. The rooms are nice and clean! Breakfast is the same as others hotels. "Good for a quick family visit"
BW is by far the place to stay when visiting Refugio. The staff is super friendly and customer service is their priority. Breakfast is good for a quick grab and go. I understand permitting issues & cost could be an issue for there not being elevator, but heck it's only 2 floors! I was in my hometown of Refugio to celebrate my 60th Birthday. I could have stayed with family but I preferred to stay at the BW Refugio. The manger, his wife and their whole staff are always courteous and professional. Between family, friends and me. We had 7 rooms reserved. We enjoyed relaxing hours in the pool and the water was AWESOME! Clean hotel, however they don't mention they DO NOT have an elevator until they give you your key to check in, so plan on hauling your luggage up a flight of stairs, or stay on the first floor. We were in town to visit 2 grandchildren and brought them to swim, and found out not even 1 guest allowed, disappointed. "Good choice outside of Corpus Christi!" Clean, comfortable and very nice. Staff was pleasant and rooms were promptly cleaned at 11 after check out. Free WiFi that worked at a good speed. Free breakfast of cereal, bagels and fruit. Would recommend as a cheap alternative to staying in the city. This is a highly recommended hotel as it is always very clean and the staff is very friendly. 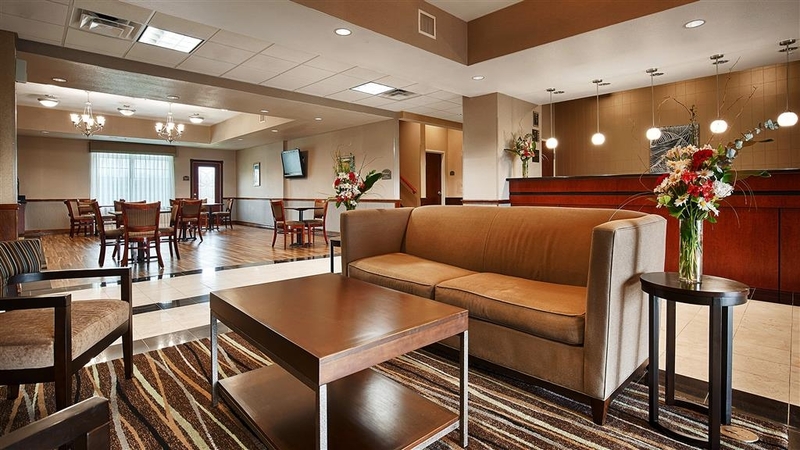 We have stayed here over Thanksgiving and Christmas for the past two years and never have had any problem and very satisfied with this hotel and its great location to area amenities. When ever we are traveling to visit friends and family in McAllen we often make this our pitstop after traveling from Lake Charles, La it gets quite busy around 10 PM on when more travelers start coming in to rest. 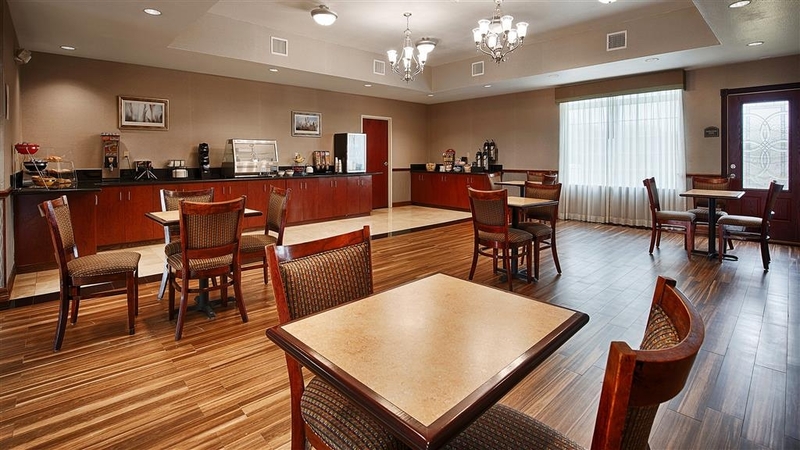 It is right off the main highway which has lots of traffic but once you get into your room you would never know this because it is very quiet and always clean the breakfast is just all right but it is enough to get you going so that you don't have to stop and buy any. The staff is nice and accommodating, I would recommend staying here. Our family was in Refugio for a surprised birthday party altogether we rented "8" rooms. No complaints from us! 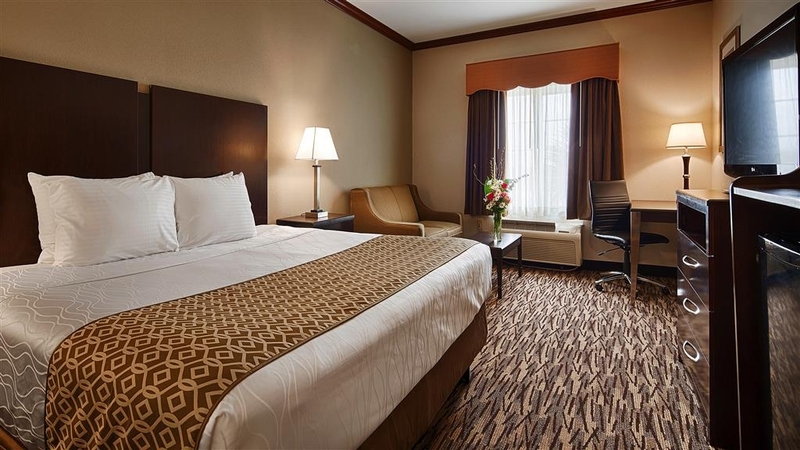 Top notch courteous staff, clean rooms and the beds are extremely comfortable. Hands-down the BEST hotel to stay in when you visit Refugio! Excellent customer service!!!! Entire staff makes every stay very enjoyable. They are all very helpful and make you feel very welcomed. I stay about once a month at this hotel and I've enjoyed my experience every time. "Stay away unless you can carry your luggage up the stairs, NO ELEVATOR!" It's the best in town, BUT!! If you can't carry your luggage upstairs go stay in Beeville or Goliad. This place doesn't have an elevator!!!!!! Rooms are nice & clean. I asked for a 1st floor room without knowing there was no elevator. None available says the clerk, so I settle for the 2nd floor, room wasn't ready, no biggie, that is until we returned exhausted late that night. While I was loading the cart with lots of luggage & about 5 large buckets of fresh flowers with assorted equipment, the wife goes in with a load of hangup clothes, asking where the elevator was. A new clerk was on duty & she said no elevator, really. My wife handed the key back & said we can't carry all this up the stairs & back in the morning (we're old). The clerk immediately gives us a first floor room, we gave her a fresh long stem rose. We were in town for the funeral of my sister in law, my wife (her sister) was making the casket piece & 6 other easel arrangements. WHY wasn't I given a first floor room when I asked? Total occupancy that night was maybe 10 people, some who shared a room. Who builds a 2 story hotel without an elevator??????? If the room wasn't nice, this would be a 1 star review! This past weekend was coming homing in Refugio therefore the BW was full because Refugio High School Execs were in town to attend the festivities. The BW is always my 1st choice when I visit my hometown. No matter how busy the staff are they always make you feel welcome and the rooms are very clean. 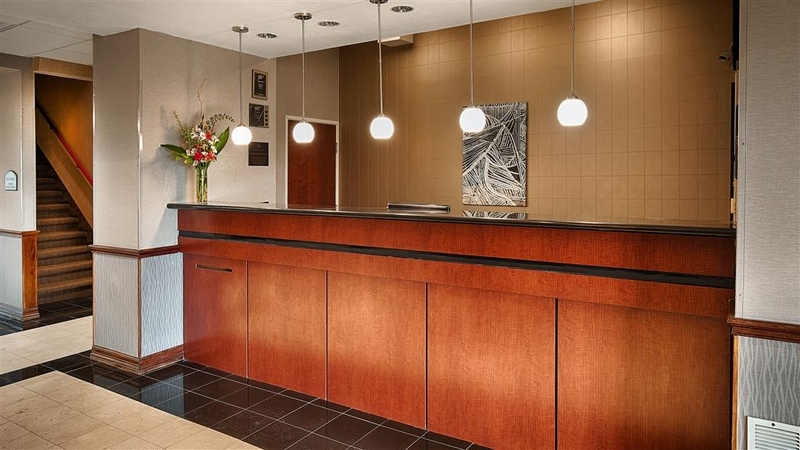 My experience was great at the Best Western. I travel a lot for work so I'm pretty sensitive to the cleanliness and comfort of hotels I stay at. The room I stayed at was clean, as was the bathroom. The staff were very helpful and nice. I would recommend staying here. 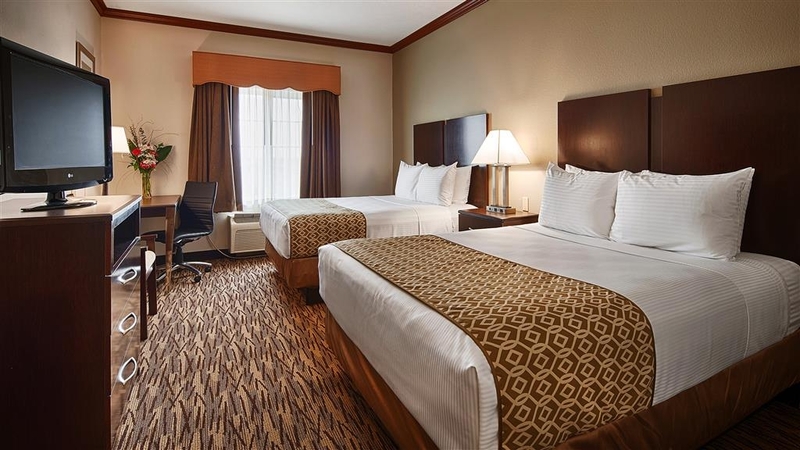 Great service average rooms quite and comfortable, I've been staying in Best Westerns for business purposes a lot and would not change my choice of pick. I would however not use these hotels for personal stays. The hotel rooms, lobby & pool are clean and pleasant. Only downside is no elevator. Breakfast was your basic pastries, oatmeal, cereal, waffles & yogurt, juice & Coffee. Room was a good size and the bed was comfortable. "HUMBLE APOLOGIE TO THE REFUGIO BW"
In my last review of the Refugio BW I wrote a bad review. Based on what I thought was a charge for a cancellation which in fact was not true. It was a mistake made by my bank. Unfortunately, by the time I discovered the error I had already submitted the reviews. I sincerely apologize to the manager and his team. I tried to correct the review however neither the BW or the Trip Advisor links would allow me to correct it. My stays at the Refugio BW have always been pleasant and I look forward to my next visit. We were in the area for business and were very happy with our stay. The room was very clean and a lot attention to detail. Very quiet even though it was pretty busy. The employees were happy to help with any questions we had. Coffee was available 24 hours which was very nice. Stayed here by accident - traffic was lined up. Pleasantly surprised - very clean and comfortable. I did think the price was a little high for a small town with no specific attractions. I would consider staying again on route to another destination. "Horrible in almost every sense." I booked my room online just hours before arrival, relying on the great reviews I read on Tripadvisor, I feel as if I were taken for a ride. Upon arrival I was "greeted" at the desk by a woman with a scowl on her face, covered in arm tattoos when she finally looked up at me she just snapped "what can I help you with?". It was after 4:00 in the afternoon, I was wheeling luggage and a brief case, what did she think I was there for, to sell her girl scout cookies? I told her I was there to check-in as I was digging my credit card out of my wallet she snaps (with an attitude) "I need your drivers license and form of payment". I honestly felt as if I had greatly inconvenienced her in some way. Then, after clicking away at the computer she snaps again; "Your on the second floor and the elevator is broken". At this point I just about lost it. I just said; "Is it too late for me to cancel?" To which she replies with even more attitude: "Is there a reason you can't climb stairs?" I had to look away and take a deep breath before replying "Yes, I don't want to". Then she says; "You booked online so I'll have to charge you the full amount anyway". Before I could really let her have it she comes back with. "I have a room on the first floor but it's handicapped". I took another deep breath and said; "That's fine, I'll take that". Again with attitude as if she'd been saving that room for her own mother or something she checks me in. This is where we get into the nitty gritty. The bathroom has literally got cob webs behind the toilet. There is a light outside my window illuminating the façade of the building and even with the black out shades drawn it was like a lunar eclipse with the corona of the sun coming all around those drawn shades. My favorite part? The door at the end of my hallway was not locked. Despite having the obligatory sign saying "guest must use room key" the door was completely unlocked. I have a new job that will be taking me to this county 2-3 times per month but I will gladly drive 30-40 minutes out of my way NOT to stay at this dump! "Get place to next while birding"
I am a bird watcher and I want a place that is easy to find, has great beds and is quiet. This place fits all those criteria. It sits right on route 77, and even with a room facing that road, no noise! This motel was very comfortable. The internet had a strong signal. The best I have ever gotten away from home. It is located close to town with easy access to the highway. The beds were firm but very comfortable. Stay on the first floor if possible. There is not an elevator. Had to go to Refugio for a funeral and was told that the Best Western was by far the best place to stay and they were right. We drove past several other options, that will remain nameless, and they were not near as nice looking. The Best Wester was nice, clean, comfortable and friendly. If I ever have to go back I will for surely stay here again. It is on the edge of town on the highway so if you do go there my only tip would be to ask for a room on the backside of the hotel to cut down a little highway noise. Other than that it was a great place and a great night sleep for a great price. We were really happy to see this best western on the cold and rainy night of jan 1st. We had a good reception and a large, warm room to start this year the right way, away from home. Thanks a lot Hoping to see you again. "This is a nice place to stay"
I almost clicked average but I just couldn't bring myself to do it. s. We had ants in our room. Guest services moved us to another room and gave us a 20% discount but I really wanted a free night. There is no elevator in the hotel so we went from the first floor to the second floor lugging around our coolers, luggage and everything else we brought with us for our family reunion. But to be fair, the room we got on the second floor was nice, neat and clean. "Above avg for the location"
This was a wonderful place to stay, the rooms and service was excellent. and the town is so pleasant you can take a walk or ride and the locals make you feel like one of them.. i would go back for sure with family and friends or even solo. Good service but did not accept CLC need to improve on WIFI service it let me down on several occasions. I could not get on for a week at one point in my stay. The business center kept having problems with air conditioning it was very uncomfortable to work in at those times. "Nicest hotel in the area"
Not much to choose from in the area so this one is definitely the nicest. The breakfast is OK but there are lots of fast food restaurants in the area where you can get a hot breakfast if you don't like the free one served here. Beds are somewhat hard but the room was pretty clean and the staff is friendly.